Below is the first in our series of interviews with the contributors to Issue 17. To read Joel’s poem “Dropped” and more just as awesome, click here and buy a copy of Issue 17. Keep checking back; I’ll be posting the interviews as they roll in. My writing seeks to honestly portray people living along the margins of society, finding patterns among the circumstances and forces that landed them there. disillusionment with man’s many attempts to create higher powers of varying natures, as dramatic as that sounds. telling the exact stories that I want to tell, and I hope to fill that void. You’re the fiction editor for Moon City Review. How did you get involved with them? What’s your selection process like? 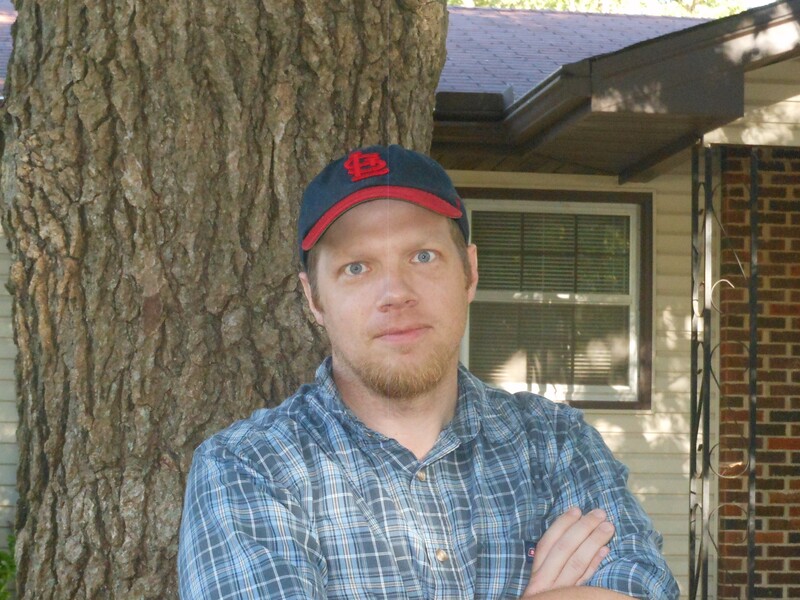 I started as an assistant editor for Moon City Review as a graduate student at Missouri State University. I loved working on the editing and publishing side, and I invested much time and energy into the journal, so when I graduated I was asked to stay on as Fiction Editor, a position I happily accepted. As an editor, I am most drawn to stories with strong voices, whose keen psychological insight into their own characters’ motivations finds new ways to explore the human condition. Simply put, I look for interesting characters doing interesting things and having interesting things to say about them. Currently, I am trying to form a collection out of my longer stories, something in the tradition of Sherwood Anderson’s Winesburg, Ohio or even Donald Ray Pollock’s Knockemstiff, in that all of the stories are united by place and theme. In the meantime, my newer stories find me delving into shorter forms, exploring flash fiction in all its diversity and experimentation. Otherwise, I am turning more and more of my attention to poetry and nonfiction, finding them increasingly useful for saying the things that I can’t say through my fiction. I do not currently maintain a website, but I have recently discovered the value of such a thing, and one is likely to appear in the very near future. My main advice, beyond the well-worn suggestions to just write and read as much as possible, is do whatever you can to tap into the amazing community of writers that exists throughout the world. Technology has made it possible for us to share our work in so many ways, and extensive exposure to others’ writing will only broaden and refine your abilities. Get out of your comfort zone, move beyond your immediate influences, and seek new resources and connections that expand your understanding of the writing and publishing worlds. Issue 17 is on sale today! Phew! What a couple of weeks. Between getting laid up with some basement dweller’s bacterium finding its way into my lungs and having to pour out my 40oz for my longtime right hand, my Chromebook, it’s been a trying time getting this issue together. BUT it has all been worth it. This lil’ treasure, titled “Leica 59,” is courtesy of Jess Golden, a street photographer from Seattle, Washington. To see more of his fantastic and absolutely vast body of work (about twenty of his photos would have been just as perfect), visit jesseboy000.deviantart.com. Winners, as always, get $20 ‘Murican dollars, and everyone gets a copy of the issue. Hey, you want a copy of the issue, right? Click here and get yourself the literary magazine that features the 1st – 10th runners up for the 2016 Nobel Prize in Literature! I mean, unless Trump gets elected and sends our economy into a death spiral, you can swing the three bucks. Thanks again to everyone who submit their work and to those who make me feel like a big shot by letting my publish their stuff. I WILL be doing author interviews over the next few weeks, so keep checking back here! Issue 17 is in the books! I mean, not literally, but I have started laying it out, so there’s that. However, we are closed to submissions until November 1. I really appreciate everyone who submit the contents of their soul in poem and story from, and then let me judge them as human beings based on this evidence. Seriously though, thanks to everyone who send something in, especially the good ones. I’ll be back shortly to announce the contributors, the contest winners, and as soon as I find some, the cover art.